Tulmar’s expertise in repair & overhaul of defence and security products is supported by 25 years of experience designing and manufacturing inflatable devices and military textile products. We write the maintenance manuals and we develop the specialized procedures and tooling needed to get the job done. Tulmar is also the repair and overhaul center for Canadian Forces flotation equipment. 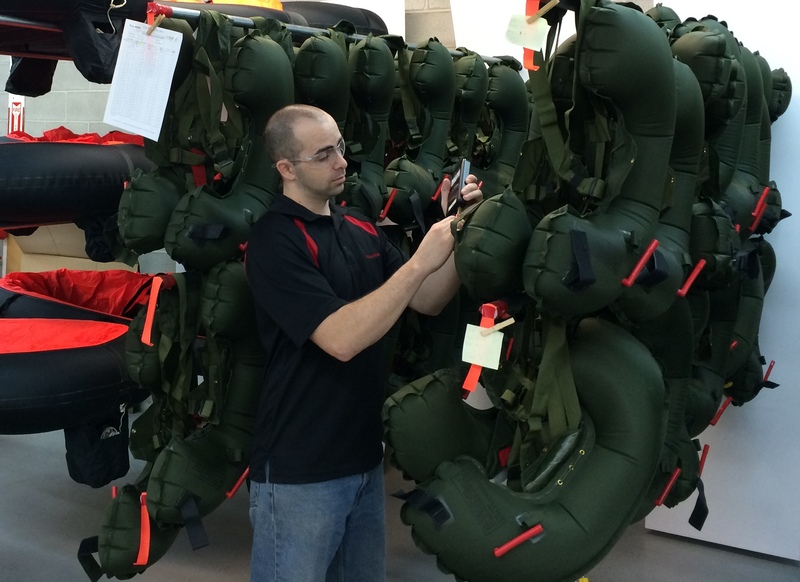 We re-certify, stock and distribute Army life preservers in our Hawkesbury facility. Tulmar became involved with the repair & overhaul of tactical shelters in 2003, when we were asked by the Department of National Defence to look after the cleaning and repair of equipment returned to Canada from the Bosnia mission. We processed 23 tri-wall containers comprising 590 TEMS tents, liners, floors, latrine tents and tarpaulins, turning them around in 5 weeks. The following year we were contracted by 3rd Canadian Support Group (Montreal) to repair and overhaul Arid Regions Camouflage Kits. This equipment had never been refurbished in Canada so we researched cleaning methodologies, developed a repair scheme, sourced repair materials, carried our repairs and reassembled the kits. 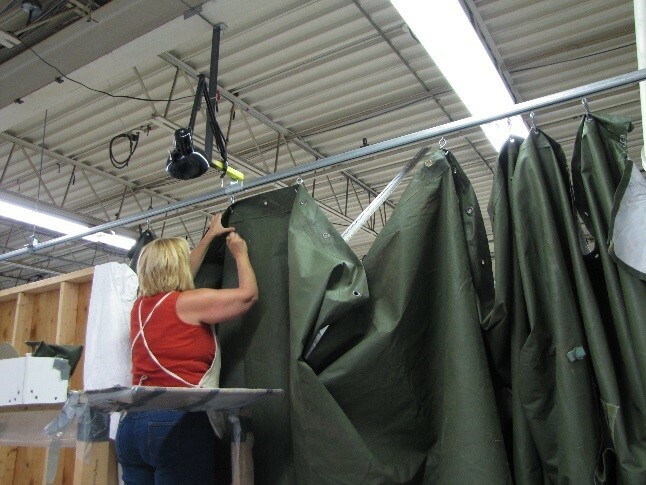 More recently, we have repaired vehicle camouflage nets and the full range of DND soft wall tactical shelters, processing over 8200 items tent sections through our dedicated tent repair line. Project Management – The added value that Tulmar brings to military R&O is program management capability. Our dedicated R&O project team manages all aspects of the work, ensuring conformance with logistics and reporting requirements, cost control and rapid turn-around time.